You've got your Android-themed lanyard, pin, wall charger, bobble head, figurine, bedsheets, and toilet paper, but you still find yourself thinking, "Why did I get Android-themed toilet paper before buying a shirt with an Android bot eating an Apple logo?" Well, it's time to correct that mistake, as that particular shirt happens to be on sale right now for $5.55. This deal ends around 9am tomorrow, so start going through your couch cushions now. 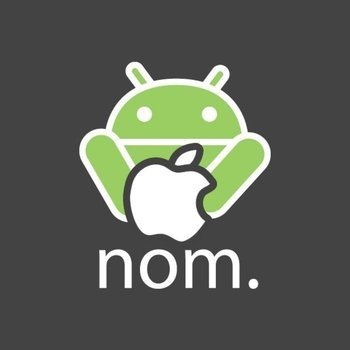 While you're at it, you might as well start practicing your iOS vs. Android arguments. 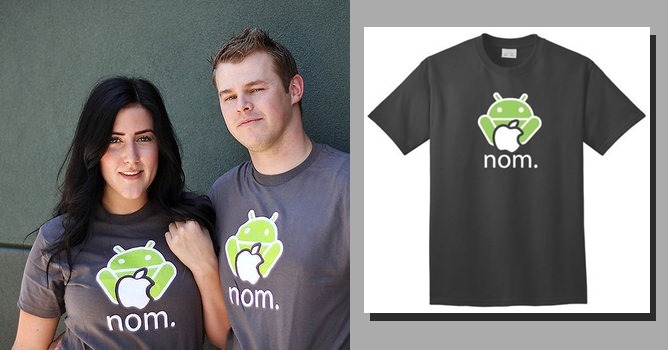 We all know you have them prepared and you're just getting this shirt to spite your iPhone-owning friends who will inevitably tell you, upon seeing this shirt, "Well, you are what you eat. HAHAHA."